At the end of the day, I’m an introvert. 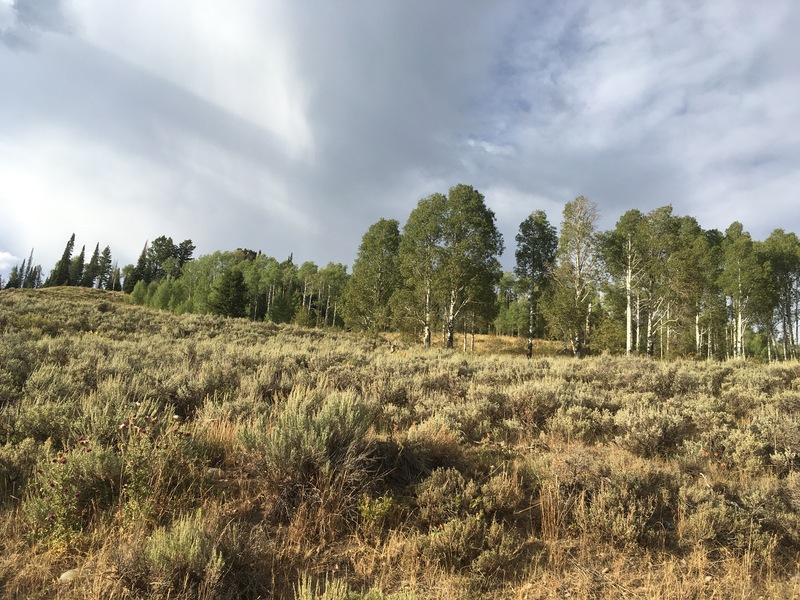 Perhaps predictably, as I was gearing up to begin this summer’s exceedingly interpersonal field season a few months ago, I found myself getting anxious. I am quite by nature, a New Englander, a liberal, and someone more comfortable with banding birds than branding cattle. A core fear common to introverts is the notion that one might not be worth talking to. As a very obvious outsider preparing to work in a state famous for its strong local identity, the concern that people might be interested in—comfortable—opening up to me loomed large on my mind. How on earth was I going to get through a summer of in-depth talks about a contentious policy issue with fifty-plus Wyomingites? In hindsight, the question is its own answer. After 10 weeks in the field and countless hours of formal and informal conversations about mule deer migrations, energy development, and politics ranging from county to national scales, I’ve discovered the power of curiosity. In my first blog post for UHPSI, I reflected on the importance of listening carefully and humbly in the service of designing a robust field study. Looking back on a summer of interviews approached with open ears and an open mind, I see that my willingness to listen without judgment and with genuine curiosity was far more important to gaining the respect and support of my interviewees than my clipped northeastern accent or lack of skill with a branding iron. I don’t know that this is a universal truth, but at least in the (relatively) small swath of Wyoming that is home to the Red Desert to Hoback mule deer migration, open-mindedness is met with open-mindedness. Certainly, my interviewees recognized me as an outsider. More than a few of my conversations began with a long glance and a laconic “well, you’re not from around here, are you”. But, in some ways it seems that my identity as an outsider, coupled with my curiosity about my interviewees’ perspectives and ways of life made me something of a curiosity myself. And, in the process of transitioning from outsider to curiosity in an interviewee’s eyes, I discovered that good will, mutual respect, and most importantly trust, can be cultivated. Interestingly, once a rapport based on trust and respect had been established, I found that many of my interviewees eased into addressing these very issues indirectly in our conversations, as they related to the mule deer migration. Across stakeholder communities and walks of life, I was fascinated by a recurring theme in this area: a lack of curiosity about the perspectives of other parties working on the Red Desert to Hoback migration. Perhaps it is due to the long histories that stakeholder groups in southwestern Wyoming have of working together—or against each other—on wildlife management issues, but I sensed again and again the sentiment that members of one community were pretty certain that they knew how members of another group saw the issues at hand. This strikes me as a crucial point, because while genuine interest can encourage trust and respect between very different people and parties, its absence might be a serious obstacle to collaboration. Caption: Look carefully! In the center of the frame you’ll see the head and shoulders of a curious muley poking up from the sagebrush. Just visible above the vegetation is a black GPS collar around her neck. I bumped into this doe after getting horribly lost on my way to an interview at a ranch up near Bondurant, in the deers’ summer range. It was a good reminder that even if I was literally way off track in a car ill-suited for dusty jeep trails, I was on still track with my project in the bigger picture. This entry was posted in People, Western Research Fellows, Western Resource Fellows, WRF 2016 and tagged Joshua Morse. Bookmark the permalink.